Welcome to the Weekend Amazon Flash Giveaway! 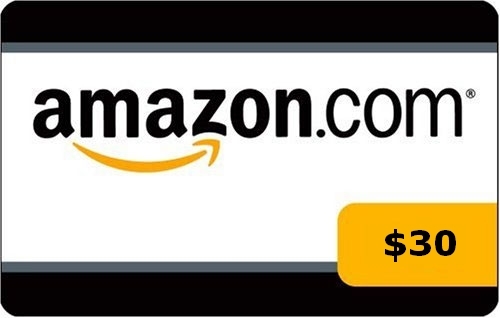 One lucky shopaholic will win a $30 Amazon gift card to add to their Amazon fund. Grab a couple books, a movie, or put it towards a new Kindle Fire - the options are endless with Amazon! On my Amazon wishlist are accessories for our stroller. Well, I am looking for a dresser for our son's room, and amazon had a few decent choices! A kindle for my mom. Books...to read on a Kindle. We really need a new tent! I'd buy something for my kitchen. I would take my time looking. Thank you. Sit N Stand or Joovy stroller!! !